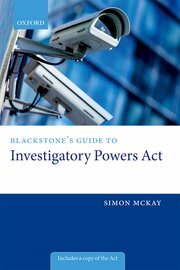 This text provides a clear and accessible introduction to the Investigatory Powers Act, a foundational piece of UK national security law. This act repeals part I, chapters 1 and 2 of the Regulation of Investigatory Powers Act 2000 and other surveillance legislation. This new legislation is the blueprint for how state agencies, the police, and internet and telephone companies protect privacy and extract data and information to protect the public from terrorism and is used to prosecute serious criminals. Provides a step by step guide to RIPA 2000. Identifies key principles from case law and the interpretation of provisions as set out by the courts. Critically assesses the law to assist practitioners in developing and testing interpretative arguments. Examines oversight mechanisms which protect those subjected to invasions of privacy. 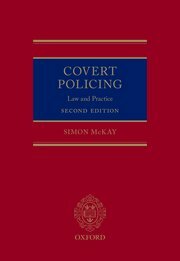 Fully updated since the last edition in 2010 to include: the Protection of Freedoms Act 2012; Data Retention and Investigatory Powers Act 2014 and secret hearings; liability of Covert Human Intelligence Sources; the Mark Kennedy case and Snowden revelations. New sections dealing with international investigations and social networking sites.